Litigation is the process where disputes are presented and resolution sought by agreement or by the Court or Tribunal. We offer a limited debt recovery service for businesses chasing an unpaid debt or invoice. We could send on your behalf a letter before action seeking payment. We would then inform you if a response has been received and whether payment has, or is intended to be made, or will be made, any offer of payment or if the invoice is disputed. You would then be in a position to consider any next steps, including Court action. We would not go beyond this service and we would not act if further action is required, e.g. Court proceedings. Our fee for a letter before action would be in the range of £195.00 plus VAT to £385.00 plus VAT (total cost between £234.00 and £462.00 inclusive of VAT) depending on the time involved in preparing the letter before action. We would be able to give you a more accurate figure once we have seen the relevant documents. Advising you of the response (if any) and sending any payment onto you. Matters usually take 6-8 weeks from receipt of instructions in relation to this service. Our Solicitor currently dealing with this type of work is Mr Nick Williams. Mr Williams qualified in 2001 and his hourly rate is £195.00 plus VAT. Please see our 'Meet the Team' section for his profile. 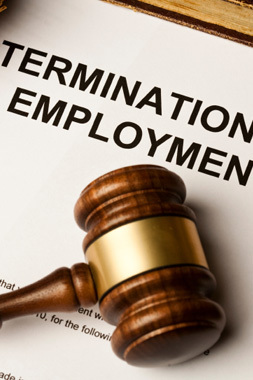 We no longer provide the service for the bringing and defending of claims in the Employment Tribunal.